When a natural disaster strikes, homeowners want the comfort of knowing their insurance policy will pay for any necessary repairs. Few events are more stressful to a homeowner than watching the house he/she invested money, time and emotion into get damaged in a natural disaster. 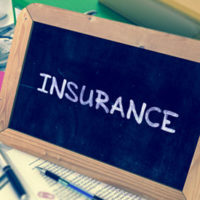 However, insurance companies commonly deny these claims by arguing the type and cause of the damage sustained is excluded under the terms of the policy. This stance leads many homeowners into insurance coverage disputes. Given Florida’s high risk for hurricanes, tornadoes, sinkholes and wildfires that rarely give a homeowner advance notice or the ability to protect a home, having adequate property insurance coverage is a must. But, the value of any insurance policy lies in how willing the insurance company is to cover a claim, so if getting coverage is extremely difficult or impossible, the insurance policy means little to the homeowner. A recent decision issued by the Florida Supreme Court gives a boost to homeowners struggling to get their property damage claims approved. A discussion of how this decision will impact property damage policy coverage going forward, and how the processing of these claims is regulated under Florida law, will follow below. Many property damage claims are based on two or more events contributing to the overall destruction of the home and ground. Previously, if one of the factors was excluded under the policy, the insurance company would deny the claim under the efficient proximate cause theory. This legal theory on the recovery of claims states that if there are multiple causes for a loss, the one that sets the other in motion controls whether the loss is covered. Thus, if the insurance company could prove the excluded cause initiated the damage, the claim was denied. The Florida Supreme Court rejected that system, and instead, imposed the concurrent cause doctrine, which says that property from multiple causes must be covered if they occurred contemporaneously, or at the same time, even if the covered event was secondary. This change in the law is especially important for damage related to hurricanes. These storms bring both wind and water damage, and making the determination on which is the primary cause is almost impossible in most cases. Because the insurance companies hold so much power over policyholders, the Florida Legislature created the Homeowner Claims Bill of Rights. This law outlines how quickly insurance companies must respond to a property damage claim, and if a company does not follow the guidelines, the Florida Office of Insurance Regulation is charged with enforcing this rule. When a claim is submitted, the insurance company must acknowledge the claim within 14 days. In addition, the policyholder, if requested in writing, is entitled to a statement from the company on whether the claim is fully or partially covered, completely denied or under investigation. Regardless of whether the previous notification is requested, a decision on the approval or denial of the claim must be communicated to the policyholder within 90 days. If the claim is denied, the policyholder can elect to participate in free mediation through the Florida Department of Financial Services Division of Consumer Services, or to contact an lawyer about filing a lawsuit. A home is the most valuable asset most people own, and if your insurance company is denying coverage for property damage, talk to an lawyer experienced in insurance coverage disputes about contesting the decision. Many companies issue denials hoping the homeowner will go away, but the lawyers at the Miami law firm of Pita Weber Del Prado will fight get the money you need. Contact us for a free consultation.